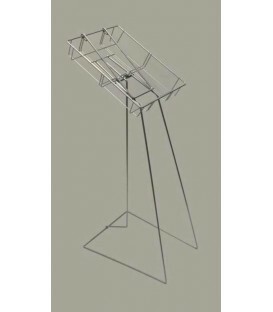 Freestanding catalogue or brochure stand.Made from strong, durable white plastic coated wire.The unit is light and the basket is removable for easy storage/travel.Approx. measurements: Basket: 320mmW x 440mmH x 125mmD. 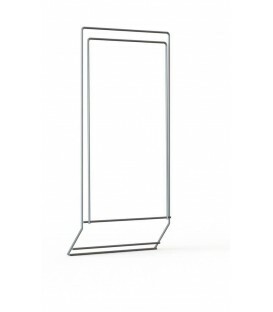 Height: 600mm.NO Sign Holder. 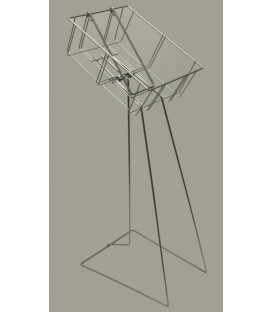 Freestanding catalogue or brochure stand.Suits A4. 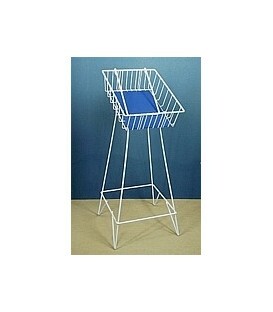 Made from strong, durable white powder coated.The unit is light and the basket is removable for easy storage/travel.Approx. 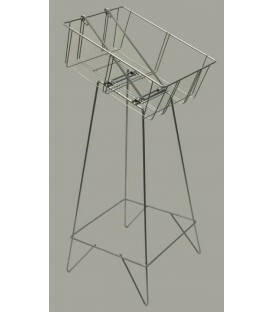 measurements: Basket: 250mmW x 340mmH x 70mmD. Height: 940mm. 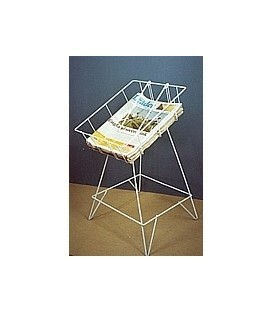 Freestanding catalogue or brochure stand.Suits A4. 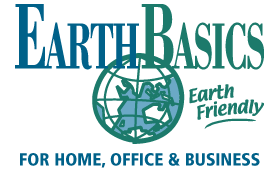 Made from strong, durable white plastic coated wire.The unit is light and the basket is removable for easy storage/travel.Approx. 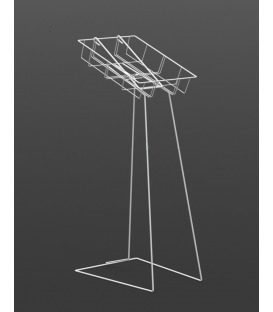 measurements: Basket: 250mmW x 340mmH x 100mmD. 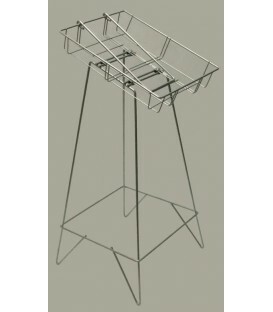 Height: 750mm.NO Sign Holder.